Between school and work, I've lived in many cities, including Cambridge, Chicago, Detroit, St. Louis, Washington, D.C, and Syracuse, and enjoyed them all. But I'm happy to have returned to the place I have roots, even if they're only of one generation. I expect to stay here for the rest of my life, so I want to help keep Newton a great place to live, and leave it as good or better than I found it. I've been a member of city’s appointed Urban Tree Commission since 2003, when I became aware of declining state of our street and park trees. With other members, I met with aldermen to support the administration’s plan to bring tree maintenance back in-house (after more than two decades of no tree crew and a flat budget for contractors which went mostly to removing dead and hazard trees). Newton Urban Forestry now has a six-person tree crew, as well as funds for limited planting in the city budget. With other UTC members, I also worked on strengthening Newton’s Tree Preservation Ordinance to make it harder for developers cutting down trees to avoid planting or paying for replacement trees. With our Director of Urban Forestry, I helped start our Newton Citizen Pruners program in 2005, based on a similar program in Ithaca, to train volunteers to prune smaller city trees to get them off to a good structural start, and the lower limbs of larger trees to improve pedestrian and vehicle clearance. 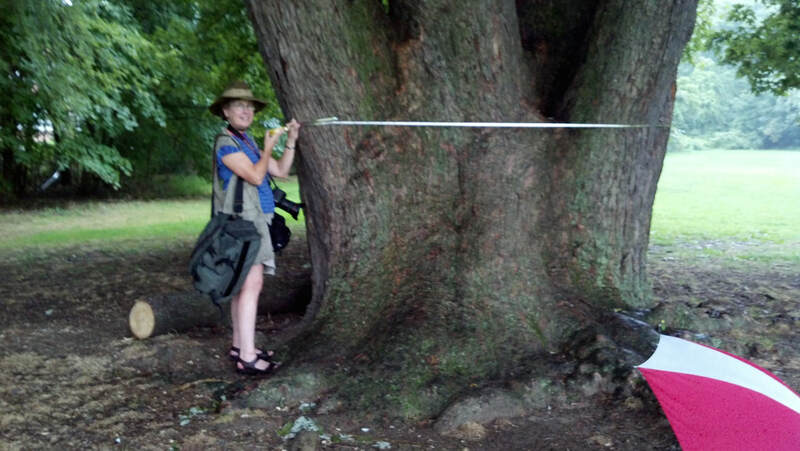 I am a founding director, and currently president, of the Newton Tree Conservancy, a non-profit formed in 2008 to help restore our urban forest and build public awareness about losses suffered, and about the benefits of trees. 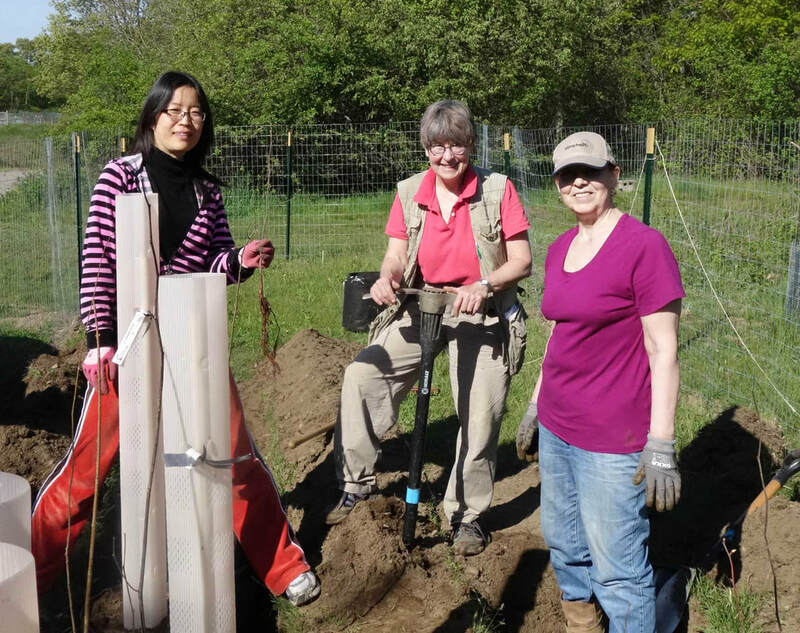 As the main coordinator of our Community Tree Planting program, which began with a small pilot in 2009, I organize plantings now of about 200 trees per year with volunteers and homeowners who help plant and water for two years. 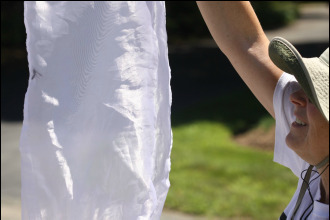 Since 2009, I have been actively concerned with the problem of unrepaired gas leaks in Newton, particularly because of their harmful effect on our street trees. Our first large scale Newton Tree Conservancy tree plantings in 2010 coincided with the Newton Gas Leaks Tree Survey by Bob Ackley of Gas Safety USA. After his testing indicated a block-long series of gas leaks (still unrepaired) that kept us from planting badly-needed trees on Parmenter Road, I testified about this problem at the Statehouse in support of State Rep. Lori Ehrlich (D-Marblehead)'s bill to mandate faster repair of leaks. I urged the Joint Committee on Telecommunications & Energy to include a requirement that gas distribution companies be required to report the locations of all leaks, as a way to increase public awareness and pressure for repairs. (At that time, National Grid and other distribution companies were only required to report statewide totals of leaks repaired and leaks outstanding.) Leak location reporting was included in the legislation, enabling the environmental organization HEET to map leak locations. 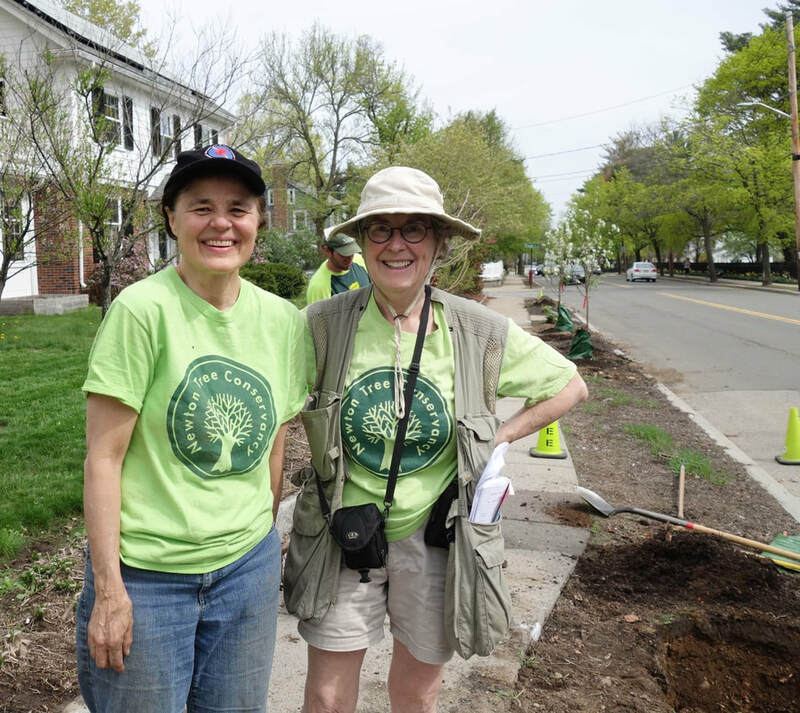 We continue to test all Tree Conservancy planting locations, increasing public awareness and leading to some gas leaks, such as an 18-year gas leak on McCarthy Road, and a Grade 1 (most hazardous) leak in a front yard in Waban, to be repaired. Parmenter Road now has a new main, and as of November 2016, new trees. I’ve been an active and public member of the Newton Villages Alliance steering committee since its launch in early 2014, prompted by my increasing concern over the loss of our smaller and historic houses, and seeing public land offered for sale to developers, I created the NVA Twitter account twitter.com/newtonvillages which now live-tweets many city meetings. 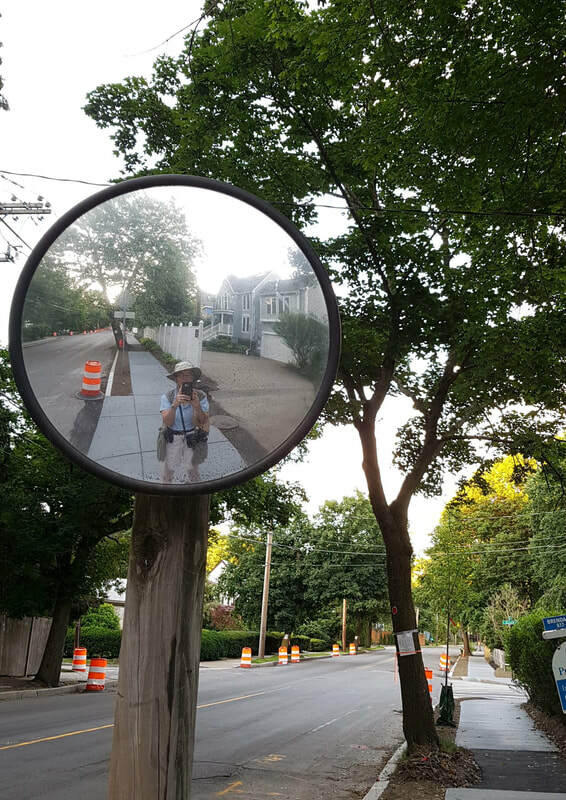 Because audios of many city meetings were not available until many months later, too late to be useful, I began audio recording development-related meetings and created a place to post them on the yourlisten.com/NewtonVillagesAlliance account. We post audios of development-related Board of Aldermen and committee meetings, as well Zoning Board of Appeals 40B hearings, and other meetings of interest such as Newton Housing Partnership, not available on the city website at all. I frequently attend public hearings and speak on behalf of community issues, and am a contributing blogger on Village 14 , writing about many issues, especially trees, infrastructure and development. I helped collect signatures to put Questions 5 & 6 on the ballot in 2014. I was active in the effort to urge the city to determine whether we had met the 1.5% Land Area Minimum standard for 40B immunity, and signed an amicus brief to the Housing Appeals Committee, along with Auburndale Residents for Responsible Development. I participated in the 2016 NVA Speaker Series: Setting Our Course in Newton, researching topics, preparing handouts, and moderating the forum Answering Chapter 40B. Each July and August since 2012, I've been a volunteer for the Massachusetts Department of Agricultural Resources' Wasp Watchers program. This is a biosurveillance project to detect the arrival of the Emerald Ash Borer (EAB) in an area by monitoring colonies of the Cerceris wasp which preys on it. EAB is an invasive species beetle which has killed millions of ash trees in the U.S.. In 2016, I found the first evidence of EAB in Middlesex County, in Newton Corner. 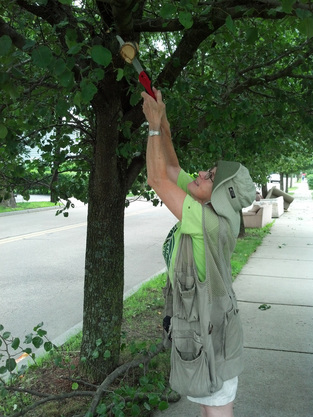 Infested trees have since been found in Newtonville and Newton Centre. Read more here. 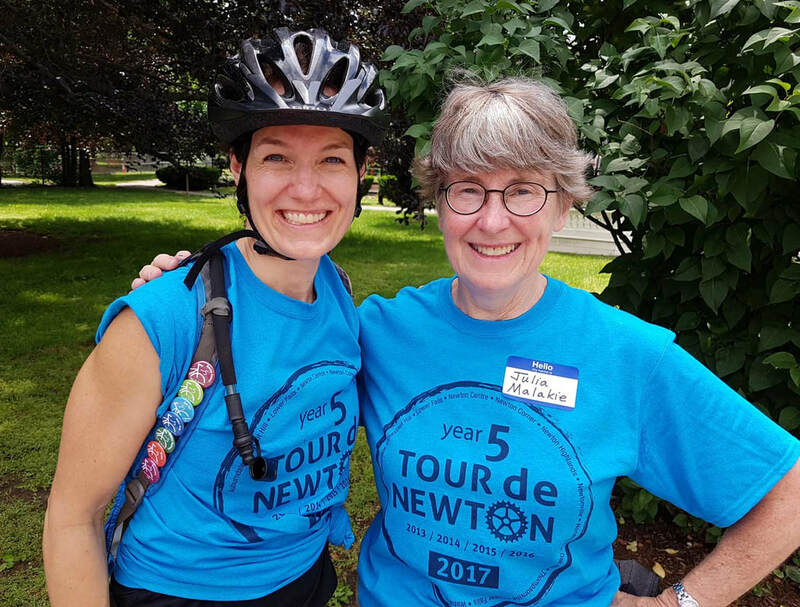 I've been a greeter at Bike Newton's Tour de Newton since it started in 2013, and volunteered at Swap Days at Rumford Avenue.